The SuperPro Stainless Steel Chimney Pipe is the easy,affordable way to finish your piping job for all your major appliances. This double-walled chimney pipe can be used for wood, oil, coal, and gas appliances and the twist-lock connection gives you a secure and fast connection without any additional tools. 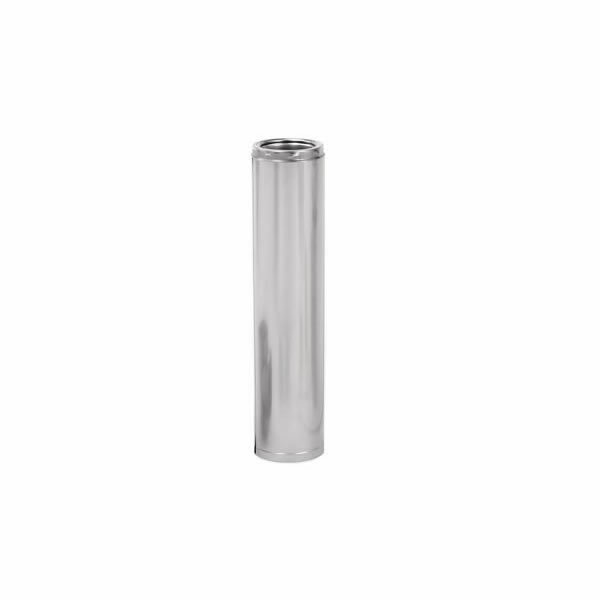 The SuperPro Stainless Steel Chimney Pipe also only requires a 2" clearance to combustibles, making it ideal for those tight, enclosed spaces you need to pipe.